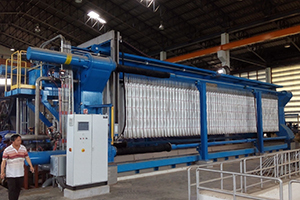 The roots of the TEFSA-Group, Técnicas de Filtración S.A., were established in 1974 with the idea to design and manufacture the best filtration equipment. 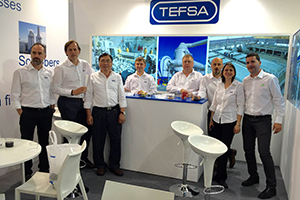 In this sense and in these last decades, TEFSA has developed specialized filtration products for specific projects and situations. 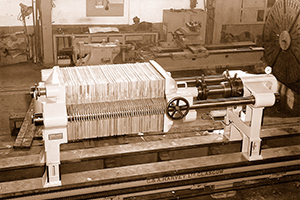 A broad fabrication program allows us to manufacture the optimal solution in each presented solid-liquid separation case, offering the most adequate equipment with the most advanced technology. The TEFSA Head Quarters, located in Esplugues de Llobregat, Barcelona, includes the offices and the main work shop with over 8.000 m² area. From here TEFSA studies, designs, develops and manufactures the complete product range available in our program. The national offices and agents, as well as the international offices and branches, agents and distributers, bring all our products and services to the world market accounting over 15.000 references worldwide. At: Shanghai Venus Environmental Equipment Co., Ltd.